There is a lot to explore here in BC, but because my experience is more centered on the island, I thought I would name this next section “Vancouver Island”. Though Vancouver does represent a very metropolitan take on spa life, one cannot deny the water and mountains, which seem to represent life on the island. As you might guess – I’m a fan, and even more so because of the hot and lively sauna at the local swimming pool! Yes it’s a local swimming pool and yes it’s a little dark and old, but this sauna gets hot and it’s big. The conversation in the sauna has a very local flavor. And the whirlpool is a nice option. 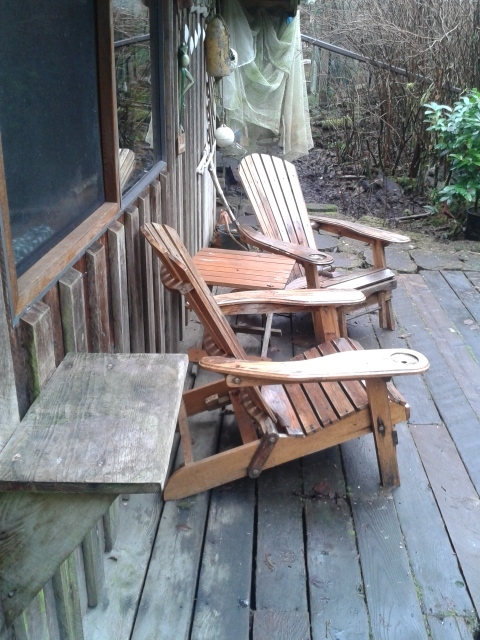 Though it’s no fancy spa it is enough to warm up from the foggy and damp winter that is Port Alberni in November – March. 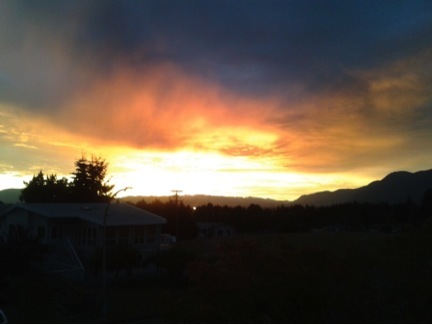 Another thing that people tend to overlook is Port Alberni’s central location. 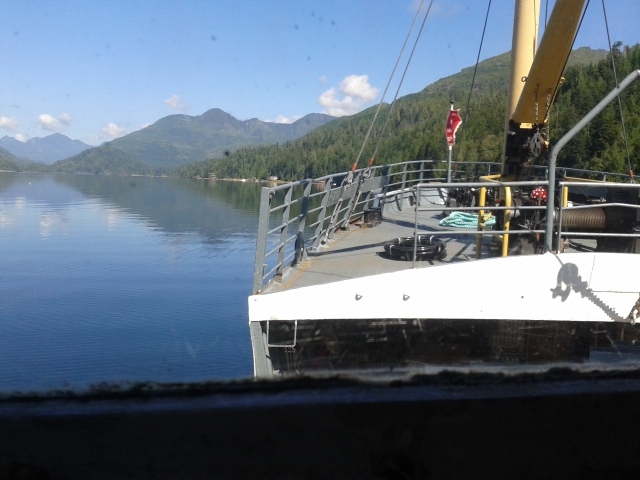 From the valley it is only 1.5 hours to Courtney, where I found repeated pleasure with a membership at the Kingfisher Spa – Pacific Mist (see “Beautiful BC”). 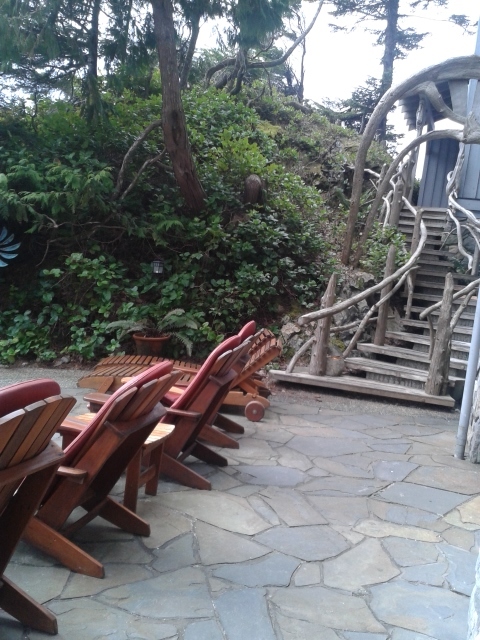 It’s also only 1.5 hours to Tofino/Uclulet where there is some great spa exploring to do. 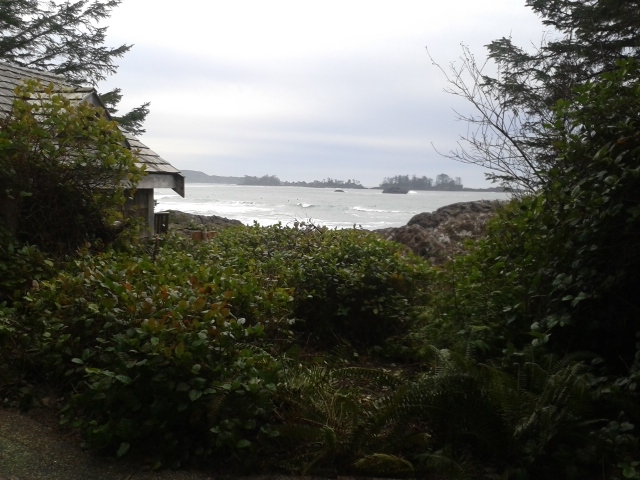 On Chesterman Beach in Tofino, there is a spa worth mentioning here. Initially I was not entirely convinced by until I went there. In fact to call it bathing spa would be a stretch. Really a steam room with no pool or sauna, or even a cold dunk, does not really qualify as a bathing spa. 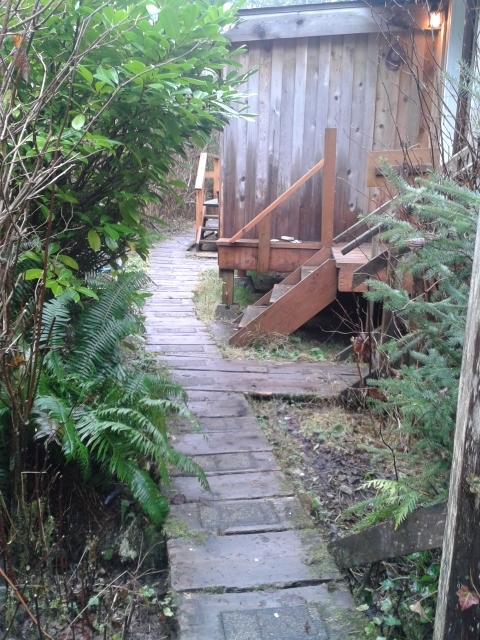 But you may not want to miss this Ancient Cedars Spa at the Wickaninnish Resort. Its views are really amazing! From the spot shown above, one can sit comfortably in robe and sandals in the warm sea climate after a steam, looking out on surfers, beach walkers or perhaps even a whale in the right season. And it’s easy to be out there after a great steam. I mentioned before that I’m not entirely sure what to think about the concept of a ‘steam cave’ – a dark and earthy, steam room decorated in concrete (intended to be like sand?) and sea remnants like shells or starfish. But if anyone is doing it right its Ancient Cedars. After some coaxing the steam cave did get hot and really steamy, with only twinkles from fiber optics-lit starfish to hypnotize. 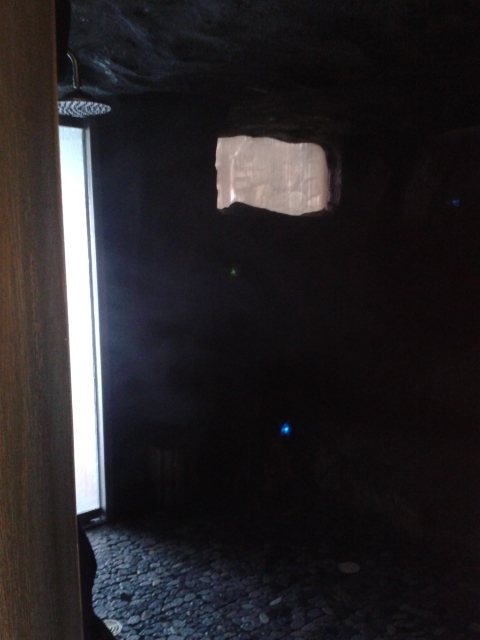 To cool down there is a rainfall shower in the steam cave. But there were two amazing features to this steam cave, 1) the unique mint lavender aroma 2) the skylight view to the beach from the top bench (seen below). See the little blue and green starfish lights? If you don’t feel like going outside for the view you can get it directly in the steam cave. Love it! They do offer day passes at a reasonable price, but I opted for a sea-salt scrub (of course). I enjoyed that they began the treatment with a foot soak – it keeps you cozy warm throughout your treatment. We also took advantage of the amazing views at the great restaurant “The Pointe” and roamed around the hotel in awe of the great location! 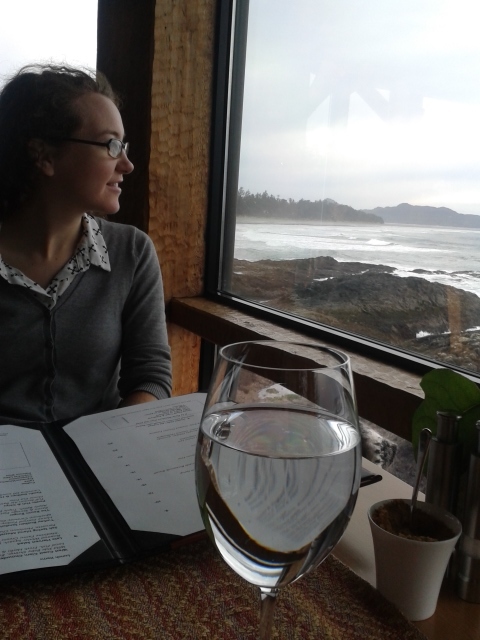 Seriously the restaurant is really great – I would say better than the esteemed “Shelter” in Tofino. 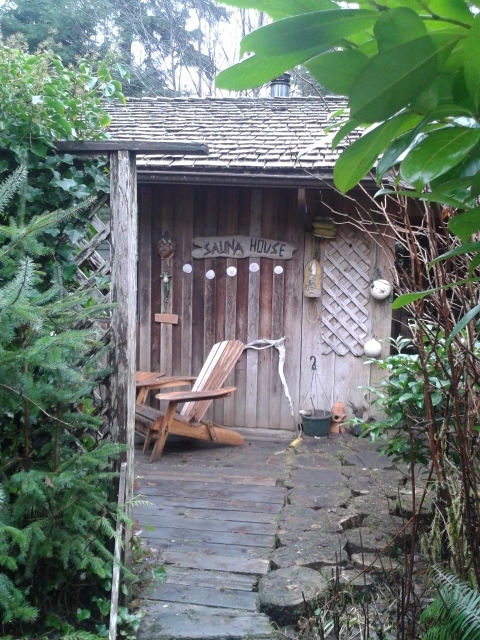 This was actually the very first place that came to mind when we knew we were heading out Tofino way. 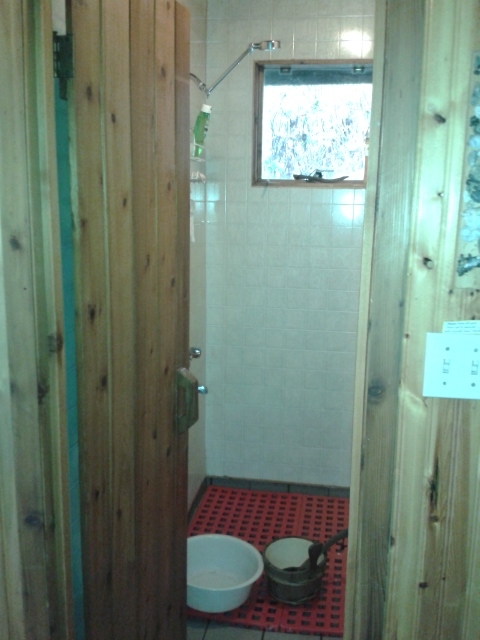 It’s a bed and breakfast that has one detached cabin that has a wood-burning sauna!!! 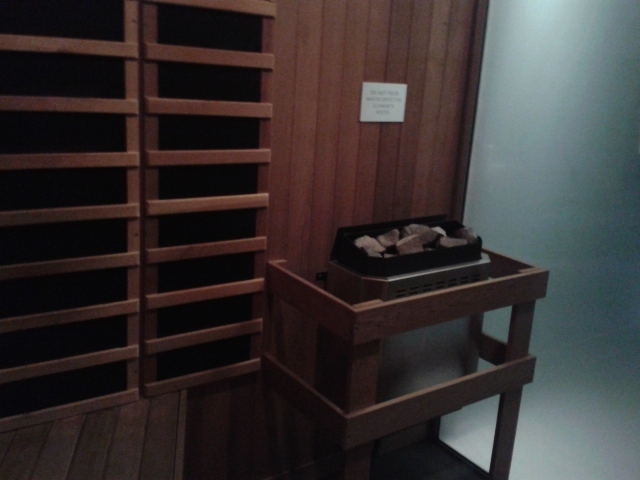 Do you know how difficult it can be to find a wood-burning sauna in western Canada? Well I jumped on the opportunity. 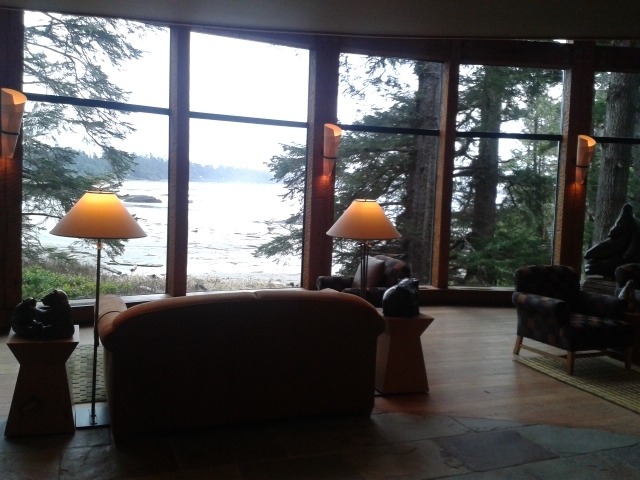 I stayed for 4 great nights, chilling myself with walks along the beach, and warming myself up in the sauna. It was a great routine! The wood was already ready to go. Just throw some kindling in, light it up, and sweat! It took about 45 minutes to get the sauna to 80’C. 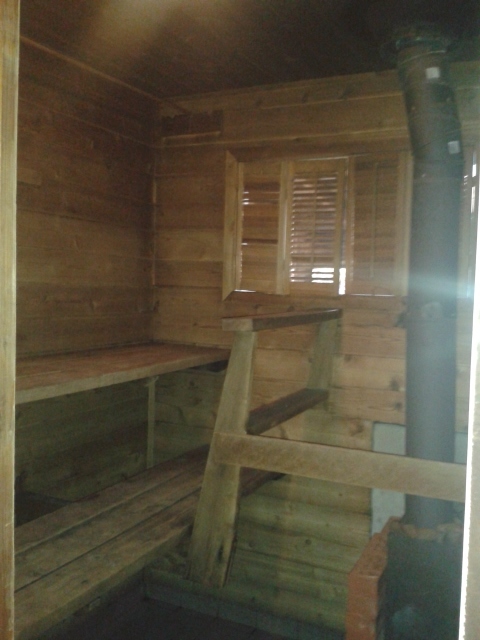 Of course, with a wood-burning sauna, you can get it quite hot. We actually got it up to over 100’C. So when then stove became molten red we figured we should cool it down a bit. The shower room seconds as the shower for the suite and it was just great to have the privacy of a sauna – a bit reminiscent of Kengas in Thunder Bay. It guess it’s only fitting then that I was there with my Thunder Bay friend. We enjoyed a bit of a traditional coffee scrub one night which was super easy to clean up afterwards. The only real complaint was that the room was really quite tiny, but that is a small price to pay for a great experience at a good rate in a beautiful location – with a SAUNA! 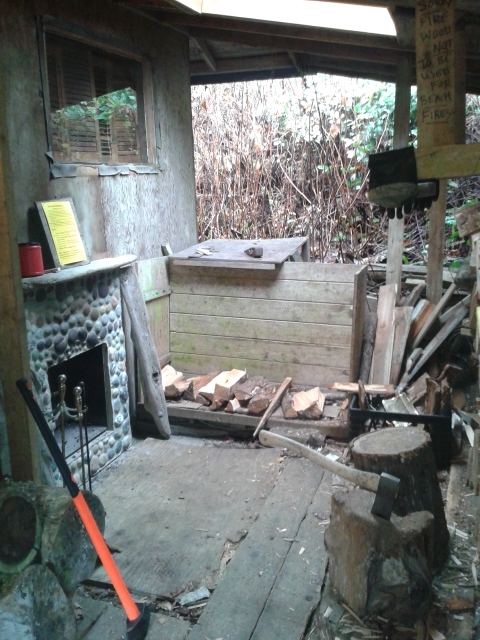 The above photo is the outside door to the stove and wood shed. I love this soooo much sometimes I think I must have some Finnish blood in me! 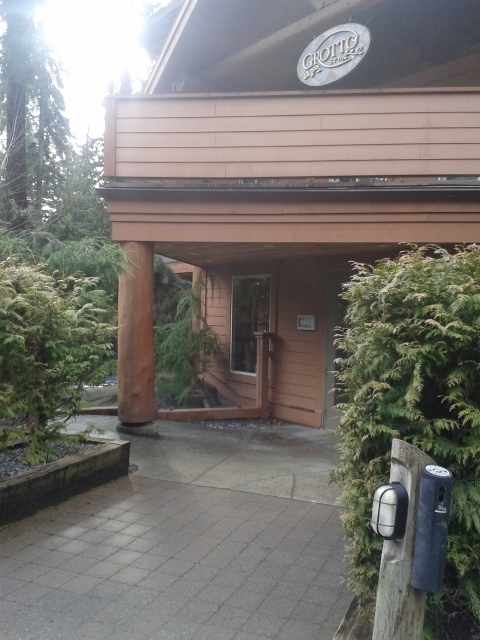 If this is the extreme side of outdoorsy, forested, spas on the west coast, then the next stop must be it’s complete opposite… in the heart of Vancouver. I have to say it takes some getting used to, nestling into a warm pool, while watching late night keeners working at their desks. But it was quite lovely in it’s own metropolitan kind of way. However, I’m always a bit disappointed with infrared saunas. Though they are clean and tend not to heat your skin, they never really fell as warm as gas, electric, or wood-burning saunas. They will do in a pinch (or it you’re 6 stories up), but I prefer to feel my body heating. Getting into the Zen of the heat is half the fun! Everything is spotless and flawless. Its modern design helps remind you – at every moment – that you are in a city. I love the amount of room in the change room. I sometimes feel a bit cheated when the change room is too small (i.e. 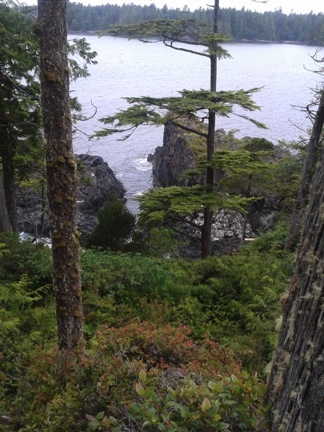 Ten Spa or Ancient Cedars). It’s nice to feel like you’ve got the place to yourself, even if it’s just a feeling. 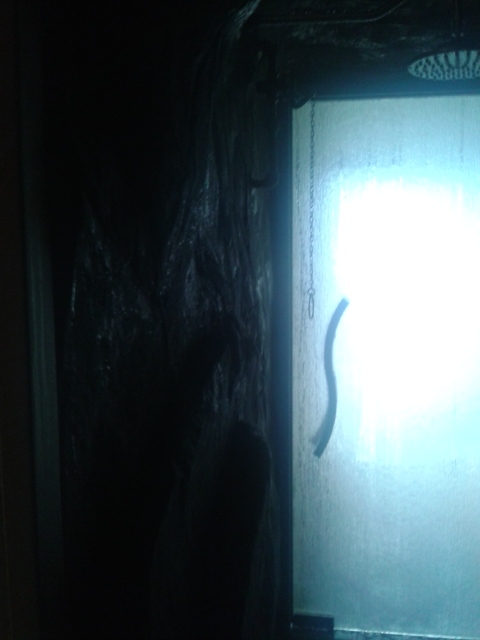 But at the end of the day, this spa kind of ended up seeming impersonal, cold and sterile. There was nothing particularly worth noting. 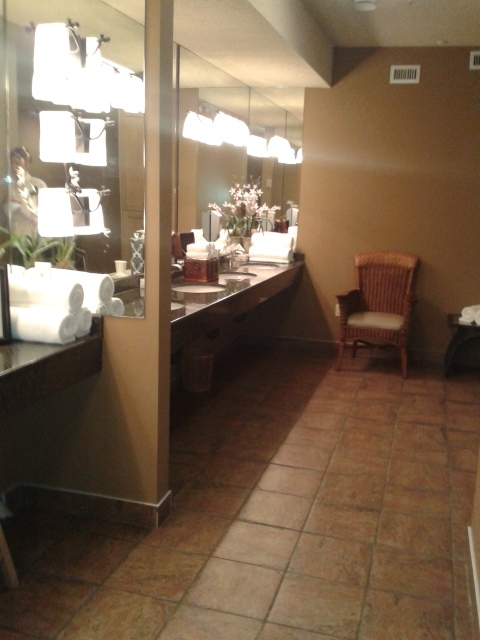 They had the amenities that you need but nothing really stands out as excellent. Good though. They do offer day passes. I even got a small discount because I got there later in the evening. 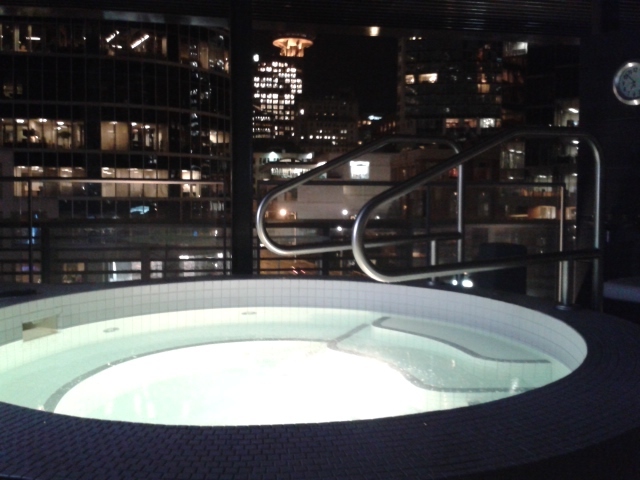 If you are staying downtown, it’s worth checking out – even if just for the view of Canada Place. 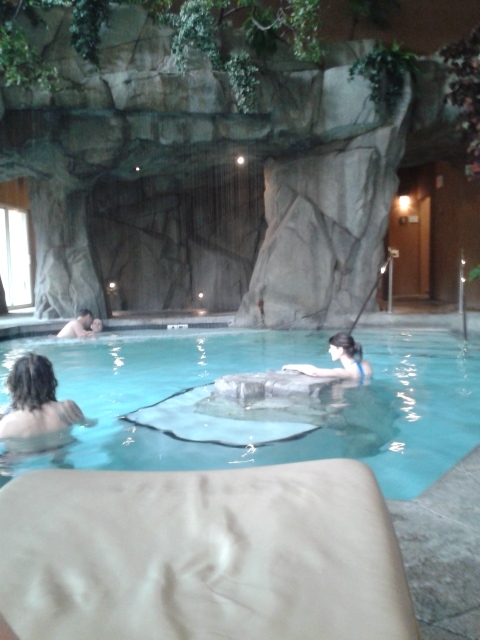 Back to the island – I had to check out the much-acclaimed Grotto Spa at Tigh-Na-Mara. I was definitely not in a huge hurry to get there. The prices are really expensive and they don’t have a sauna or a steam room. 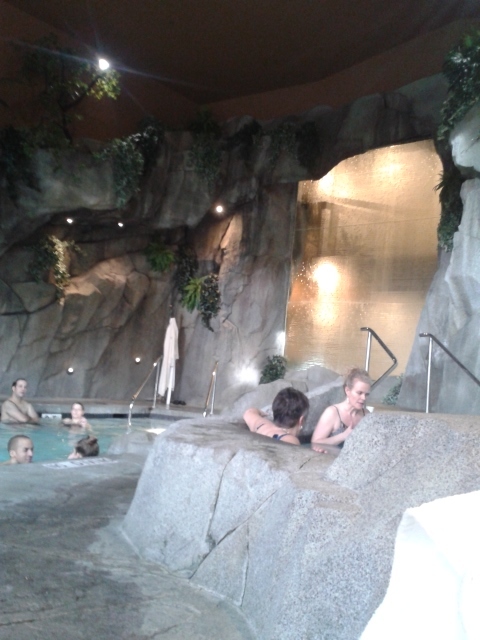 But people kept telling me that it is one of the most popular spas on the island. 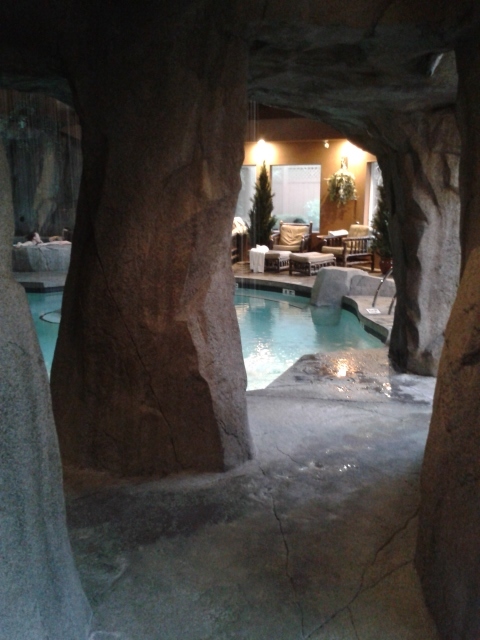 Apparently it was named (by one spa organization) as Western Canada’s Best Spa. So you gotta ‘grotto’ right? To answer that question you’d really have to know what you are looking for. Though I wasn’t able to get in for an appointment with a Registered Message Therapist (yes – seemingly one of the only spas in the area that has them), I’m sure that the treatments are fine…. If you are willing to pay. The service was good, friendly, and professional. 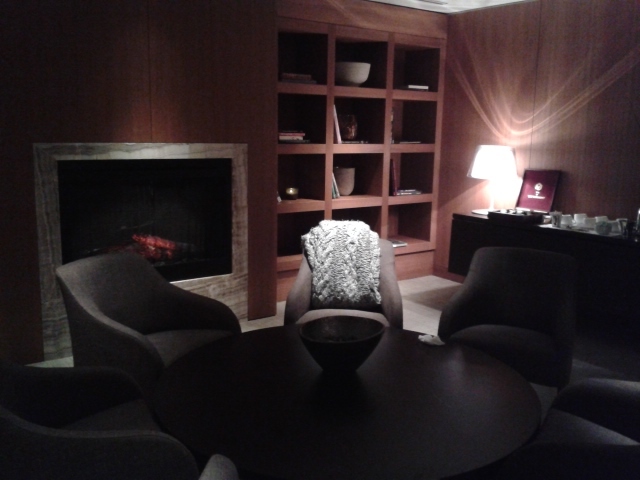 I liked that I could order food in the relaxation lounge. But from the perspective of a bathing spa – I just didn’t feel it at all. 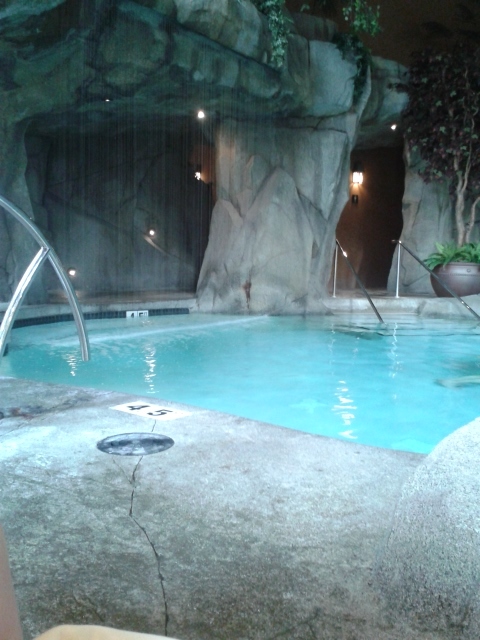 I was surprised that the mineral pool (on the left) was so cool. I mean it wasn’t hot, but I honestly could not spend more than 7 minutes in the mineral pool before needing to return to the hot whirlpool (seen raised on the right.) Finally warmed up in the shower on my way out. 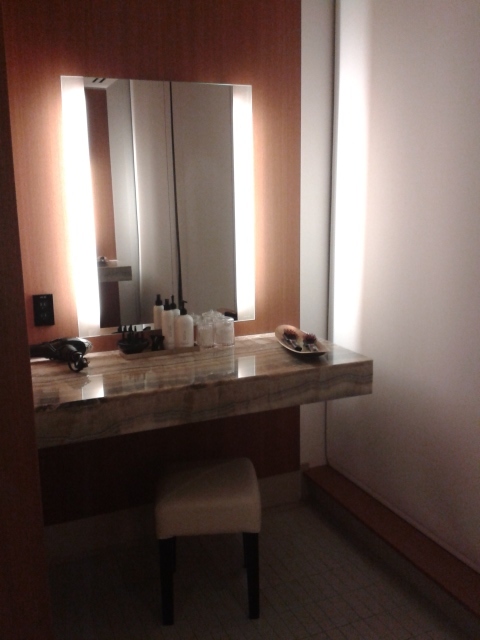 But I did love the big change rooms – definitely enough room for a steam room…. hint hint…. 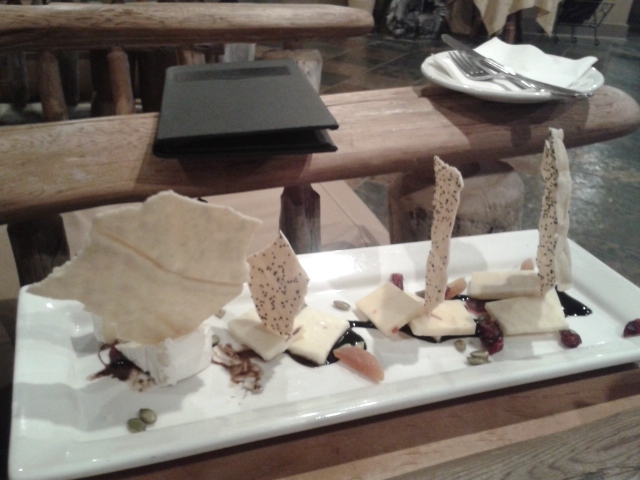 The service was good – you can tell that they really want to be the best. But my suggestion to Grotto Spa are: 1) to warm up their pool 2) put in at least a steam room 3) and maybe lower their prices – it’s quite prohibitive. It didn’t feel like a good value. For a dedicated bathing spa lover like myself – it did not have enough, and what it had was weak. Though, still, I can see how some people would be attracted. It’s kind of a nice set up. Might be nicer in the summer perhaps with the patio.